Thame & District Housing Association is a Registered Social Landlord which provides rented accommodation for people over 60 years of age. Pearce Court in Thame is a very popular residential development with a number of flats and some recreational/shared space. However, over the years it became clear that there was insufficient parking for residents as more people run their own cars, or have visitors arriving by car. As the Housing Association had already secured planning permission for enlarging the car park, our role was to procure suitable construction firms and then subsequently project manage the works. We also carried out the contract administration. This entry was posted in car park, construction, contract administration, Oxfordshire, project management, Thame on December 12, 2017 by admin. 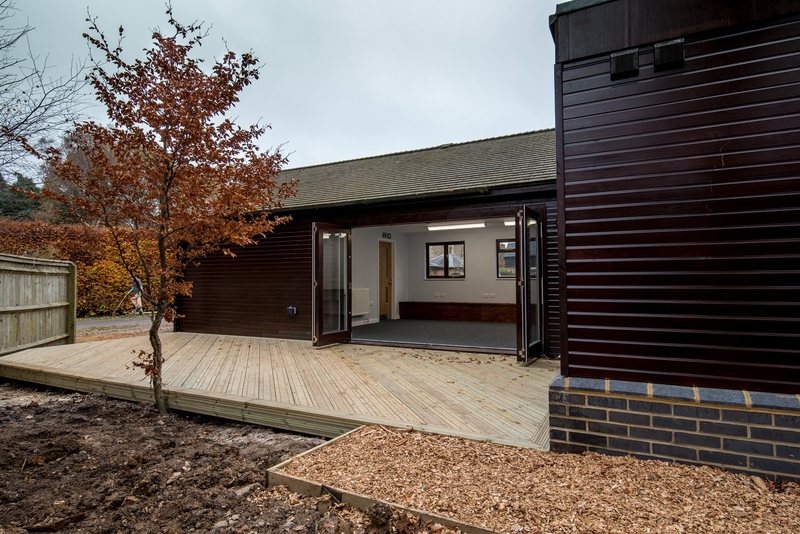 An office extension has just been completed at Ashridge Estate near Tring for our client The National Trust. The estate office is a busy hub for rangers, volunteers and managers engaged in taking care of estate which includes over 5,000 acres of woodlands. 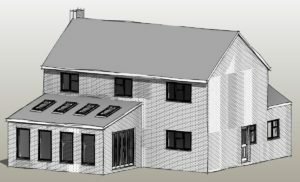 Our role was to design an extension for the timber framed building, apply for planning consent and produce the technical specification and construction drawings. We also took care of contract administration during the build. A biomass boiler to provide heating and hot water was installed as part of the extension project, and the fuel will be supplied from the woodland which surrounds the estate. 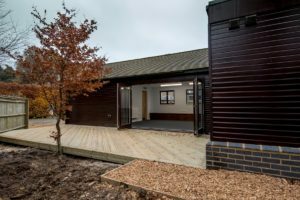 New offices, a team room and a changing area have all been provided, and staff can also enjoy an external decking area in the warmer months. As the estate office is constantly in use – including at weekends – the improvements are being already appreciated by staff. This entry was posted in extension, planning permission on December 4, 2017 by admin.